Christmas time is here again and if you are anything like me you are looking for ways to make inexpensive, creative DIY Christmas gifts! 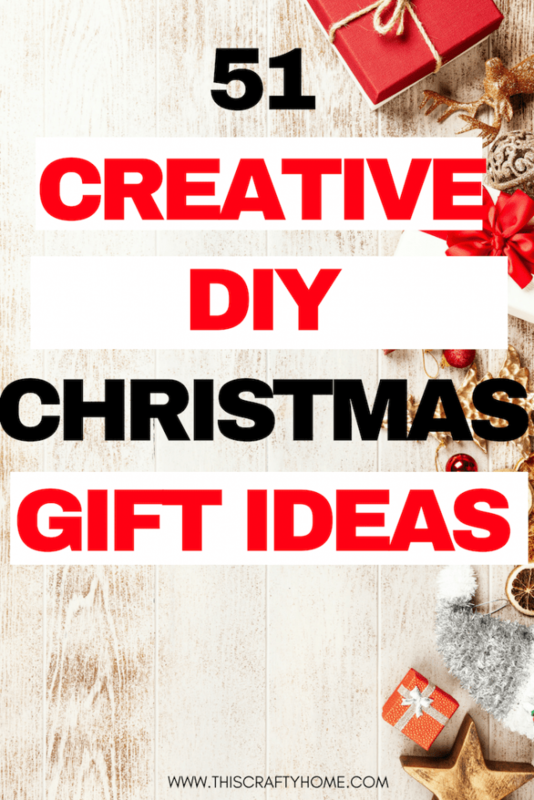 I love getting crafty and saving money and making DIY Christmas gifts is the perfect way to do both of those things. 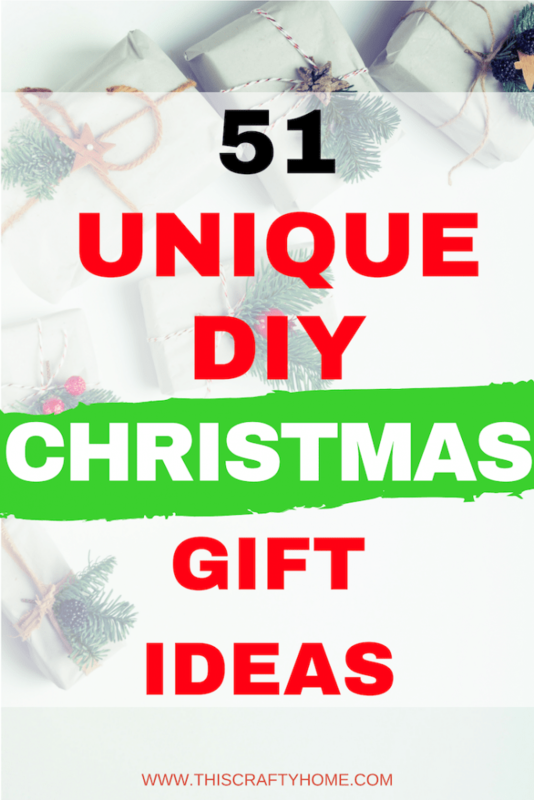 The list below features some really awesome unique DIY Christmas gifts for all the special people in your life. Give the gift of yummy cookie goodness! Plus the measuring spoons add a really nice touch. 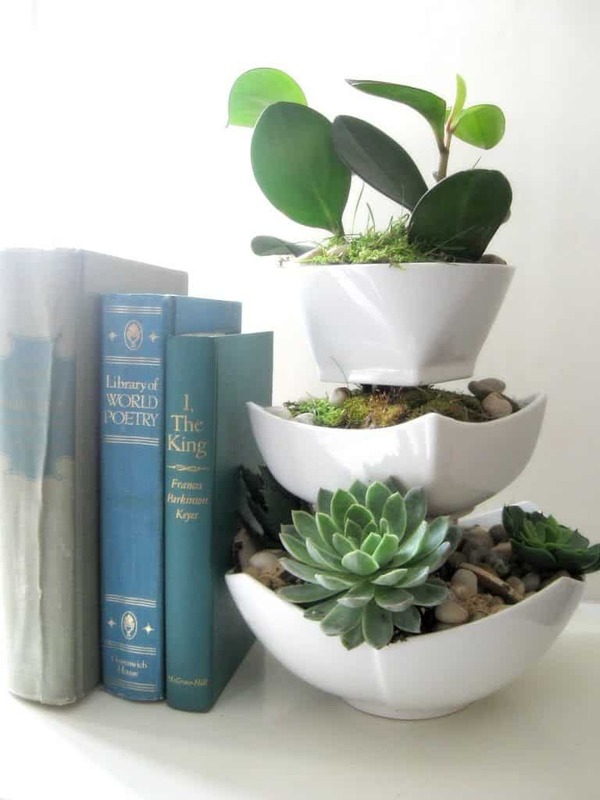 For your plant-loving friends and family, this succulent planter is beautiful and so easy. 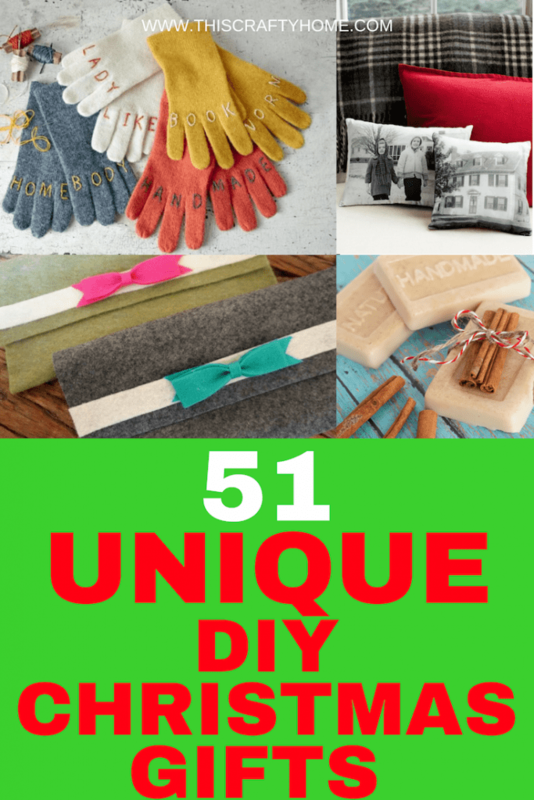 This DIY is so easy even kids can do it! 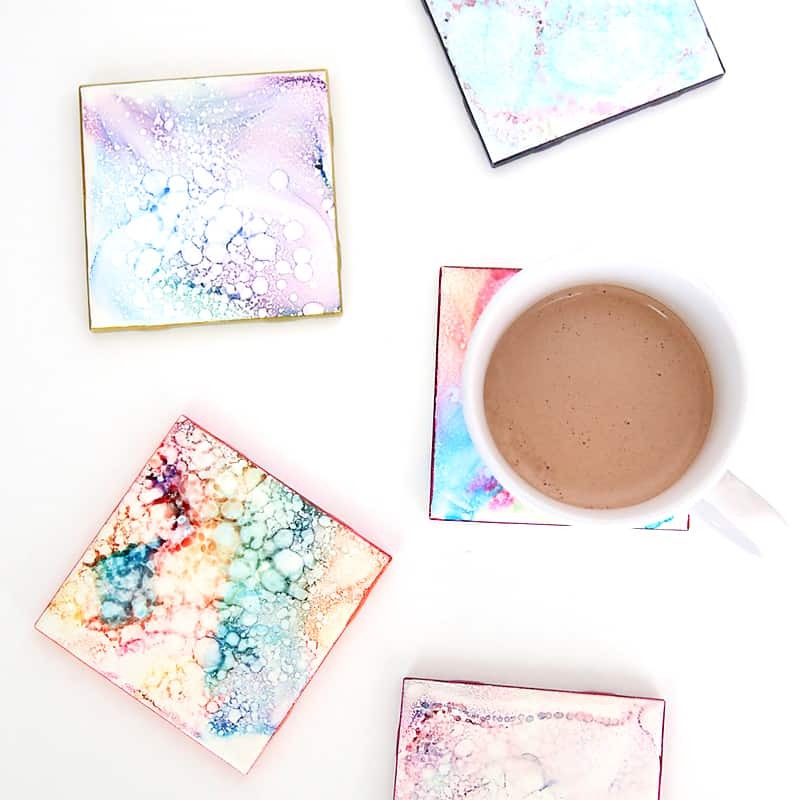 These super cute coasters are perfect for your rainbow obsessed loved ones. 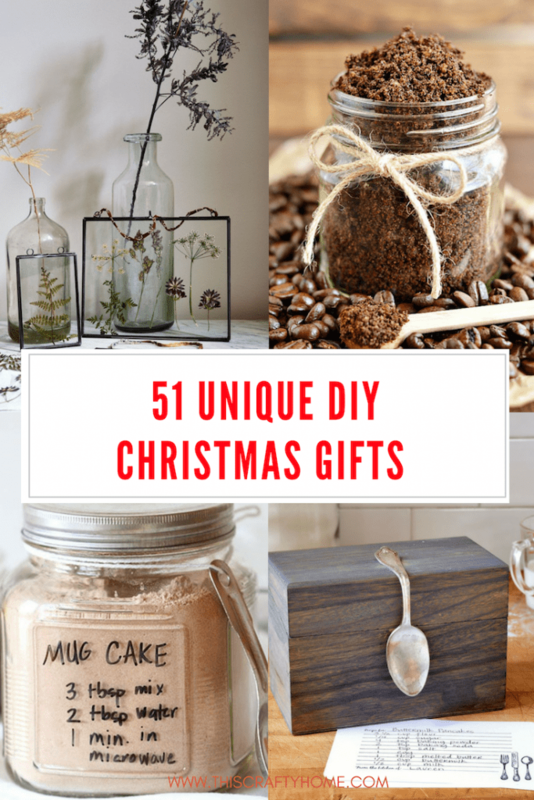 I made these fun DIY for Christmas gifts last year and it was a hit. You might make a few extra for yourself too. 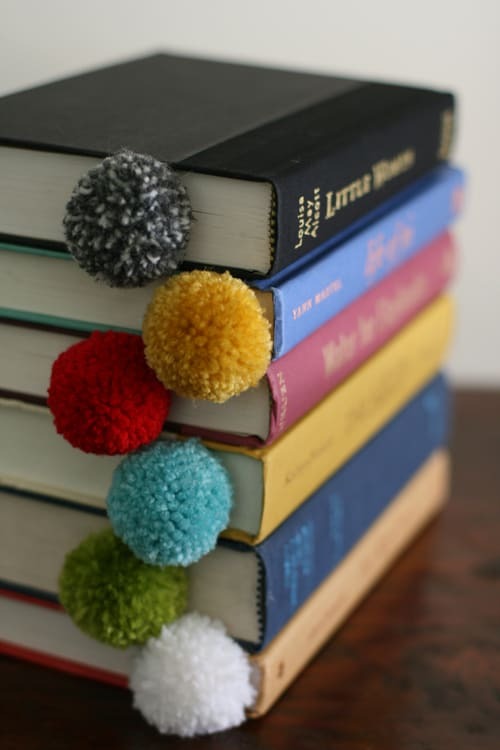 For the bookworm in your life, these adorable pom pom bookmark is an adorable gift. 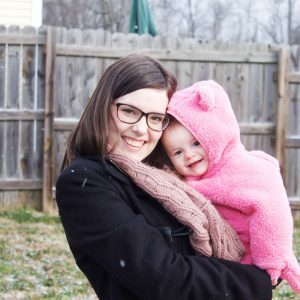 I don’t know that anything is truer of my home with a toddler and an infant! This a great gift for any coffee lover. 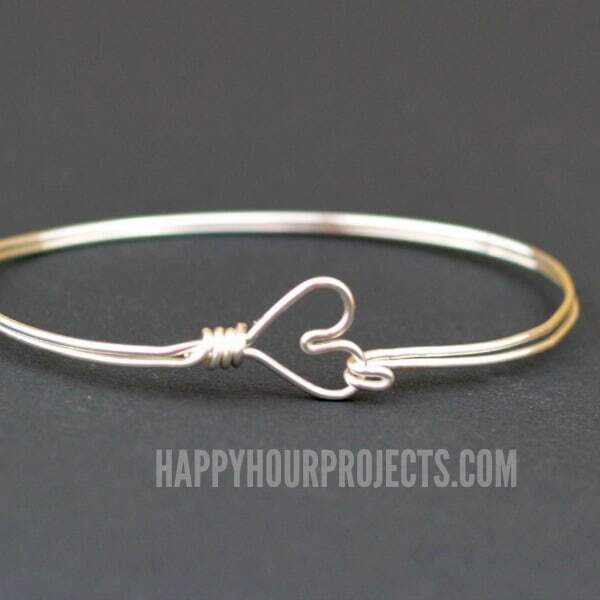 This super cute bangle is way easier than it looks and it is so classy! 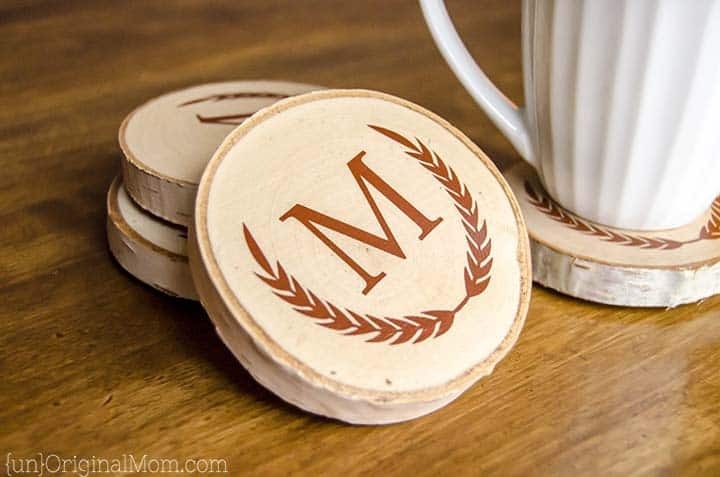 These coasters are so versatile! 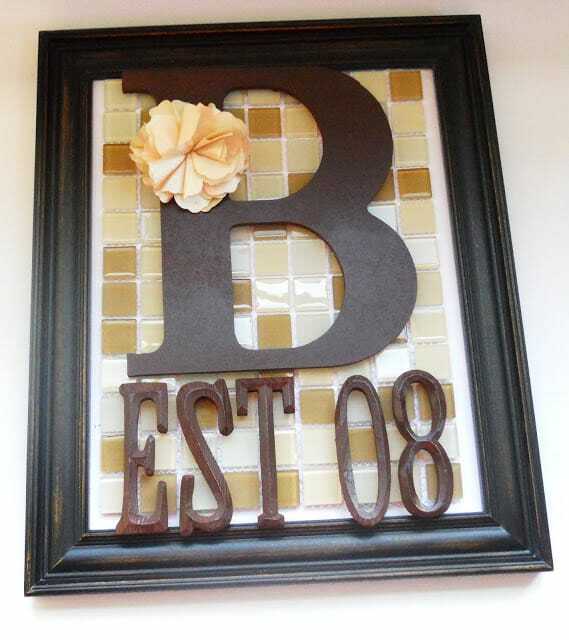 Initials, silhouettes, witty sayings, the possibilities are endless! 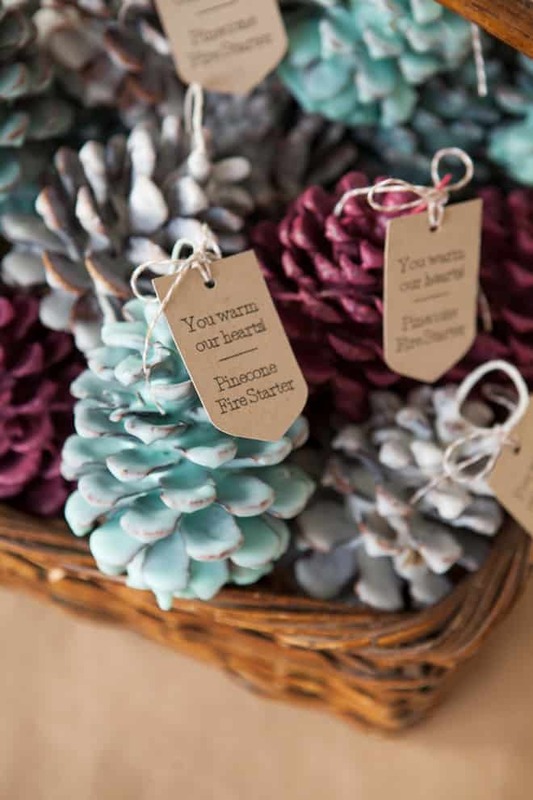 These cute ornaments look adorable on their own or on the outside of a wrapped gift. 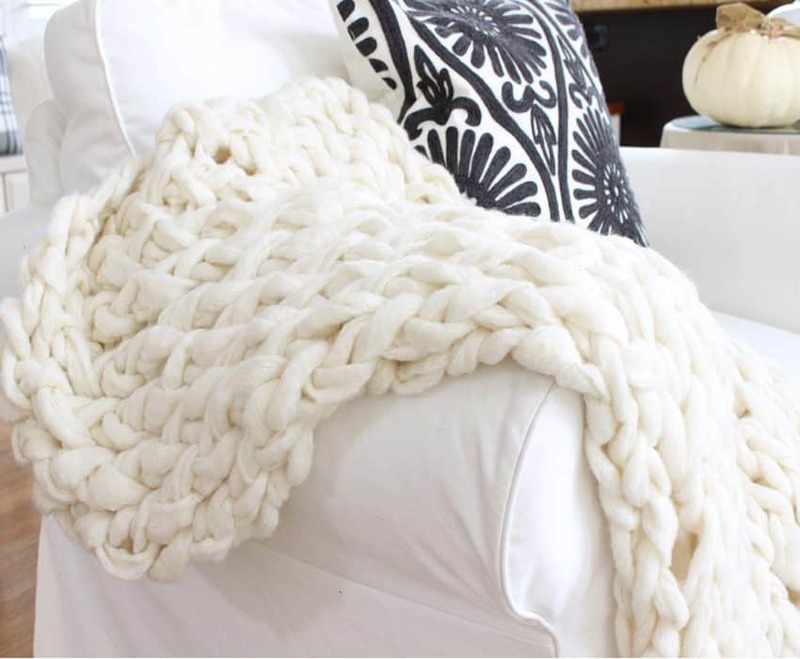 These chunky blankets are so dreamy! But be warned this DIY can get pretty pricey. 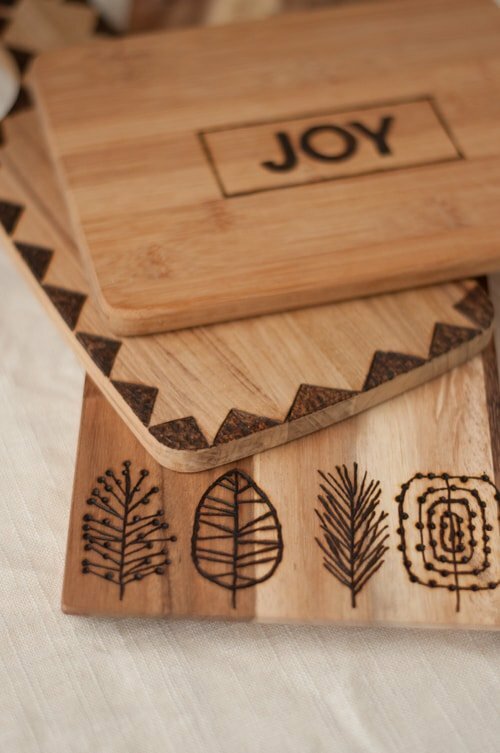 Make a simple wooden cutting board one of a kind with this awesome etching tutorial. 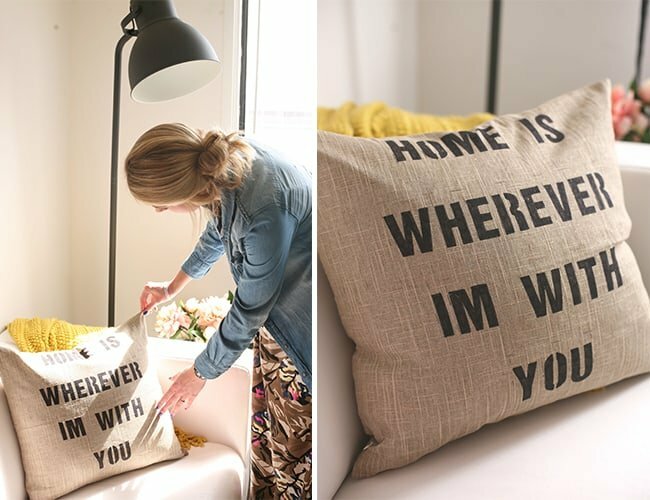 This quote pillow DIY is so easy and makes such a cute accent on your couch. Anyone would love this gift! 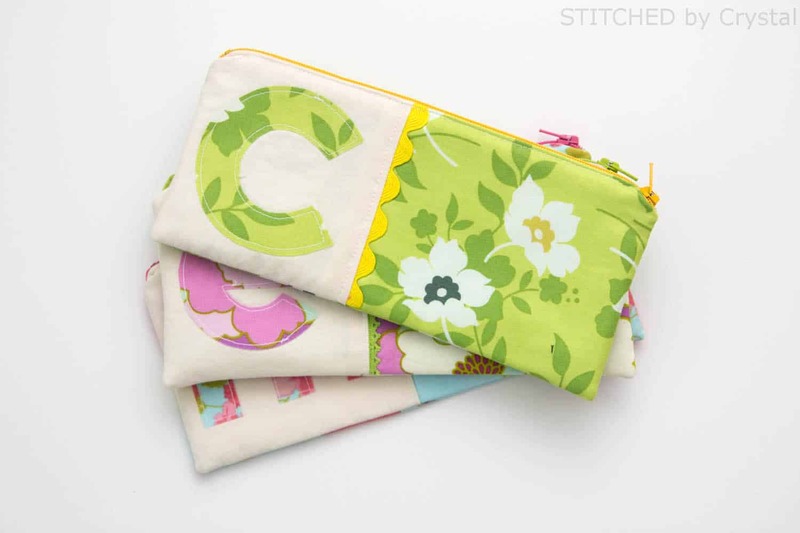 These pouches are perfect to help your loved ones get organized and look hip! Any cook will love this gift! 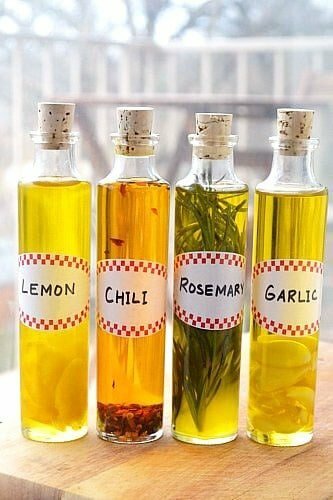 Infused olive oils make any recipe really yummy. 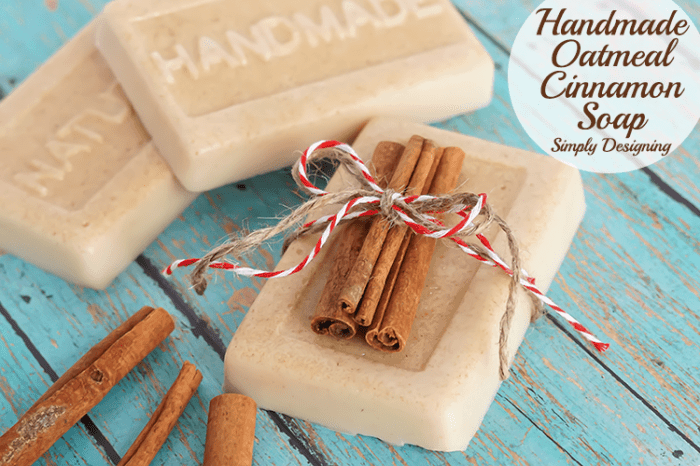 This Oatmeal cinnamon combo makes for the perfect soap! 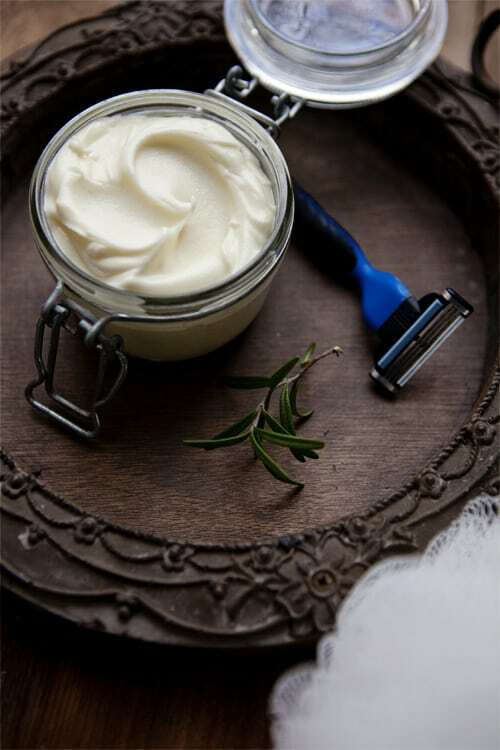 Smell good and have silky smooth skin. 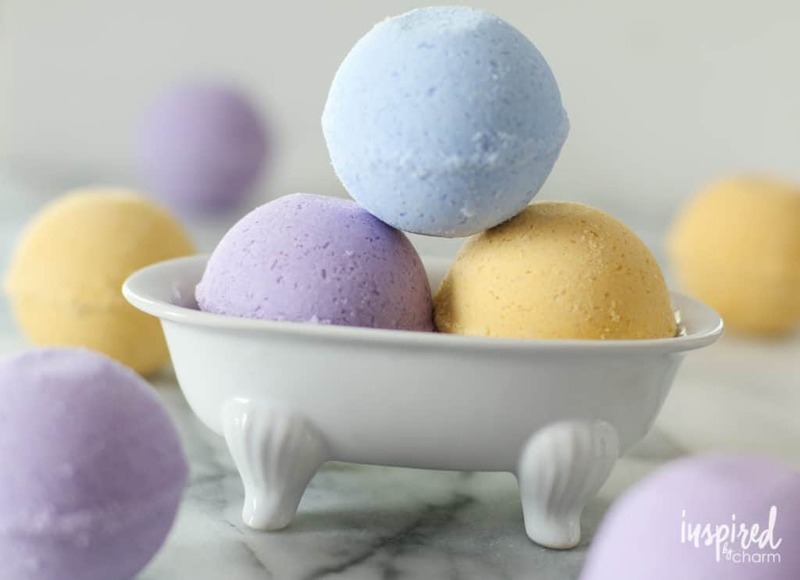 Who doesn’t love bath bombs? 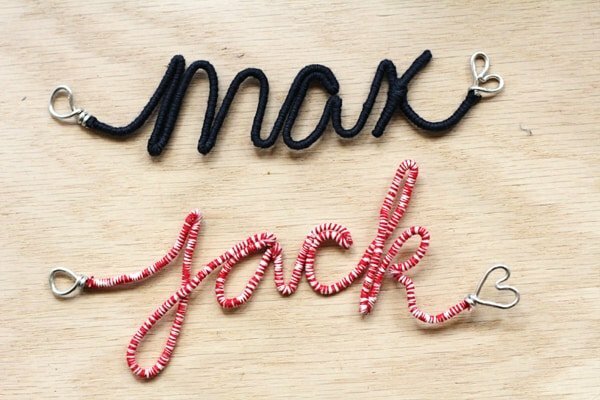 Try your own hand at them with this fun DIY! 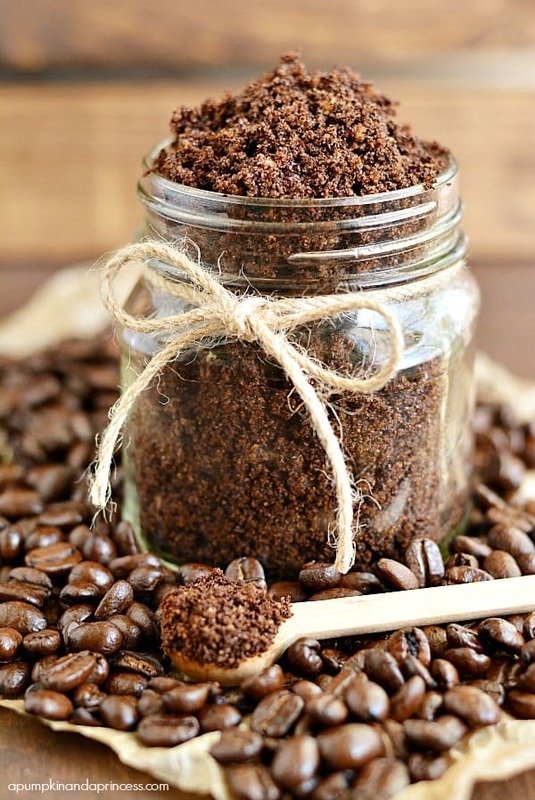 Even those who don’t like coffee will love this scrub! 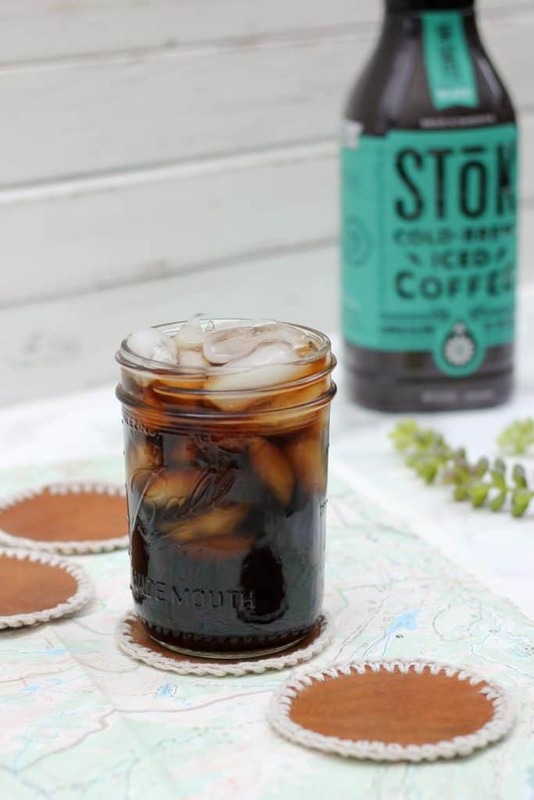 Coffee not only can wake you up but it can make your skin look amazing. 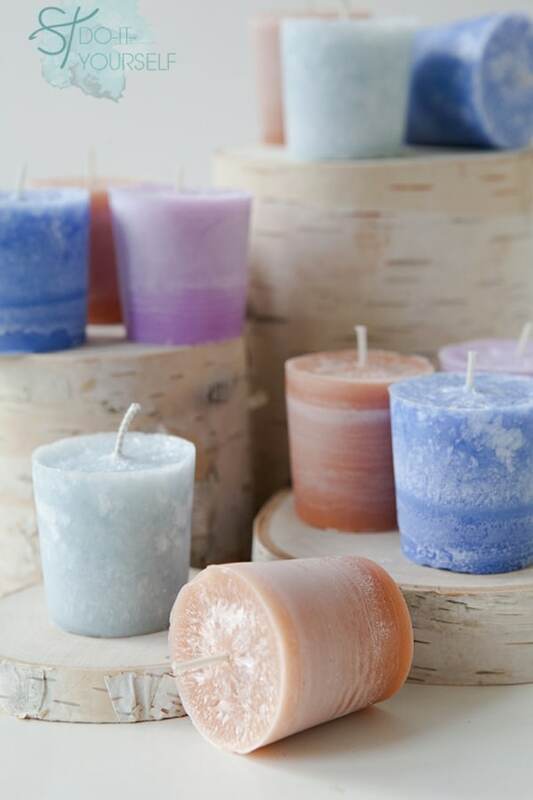 These votive candles are so cute and make a perfect DIY Christmas gift! As a busy mom, having mug cakes at the end of a long day is the absolute best treat. 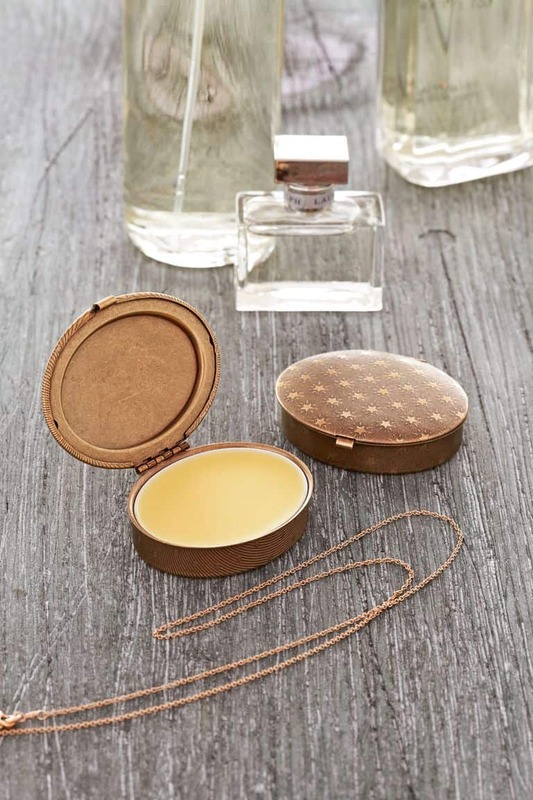 Give the hard-working ladies in your life a super easy way to treat themselves! This zipper pouch is the perfect customized Christmas gift for your loved ones. For the essential oil loving friends and family, this DIY bracelet is a beautiful and super useful gift. Make a shower an aromatherapy paradise! 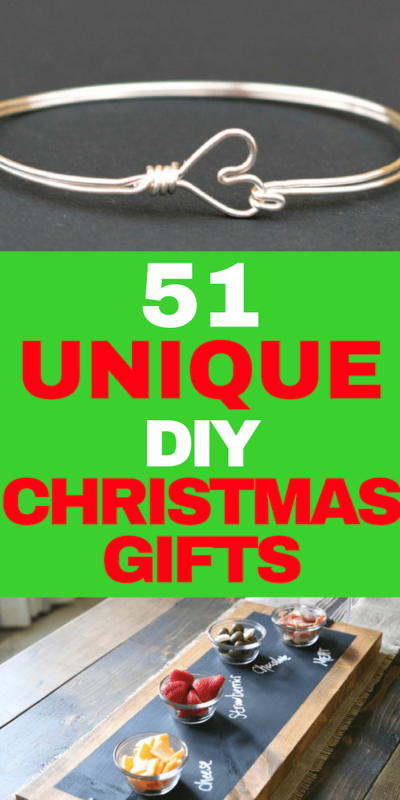 This is a perfect simple DIY Christmas gift. 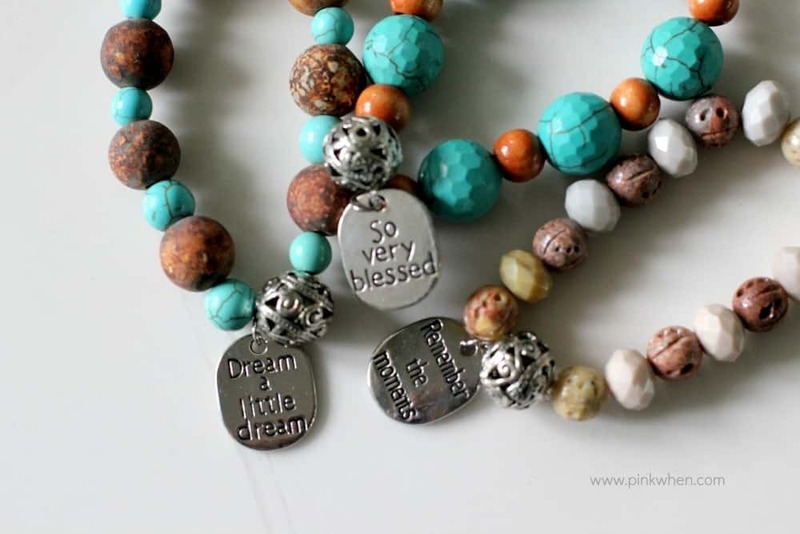 This creative DIY necklace is so beautiful! Any lady would be lucky to get this as a Christmas gift. 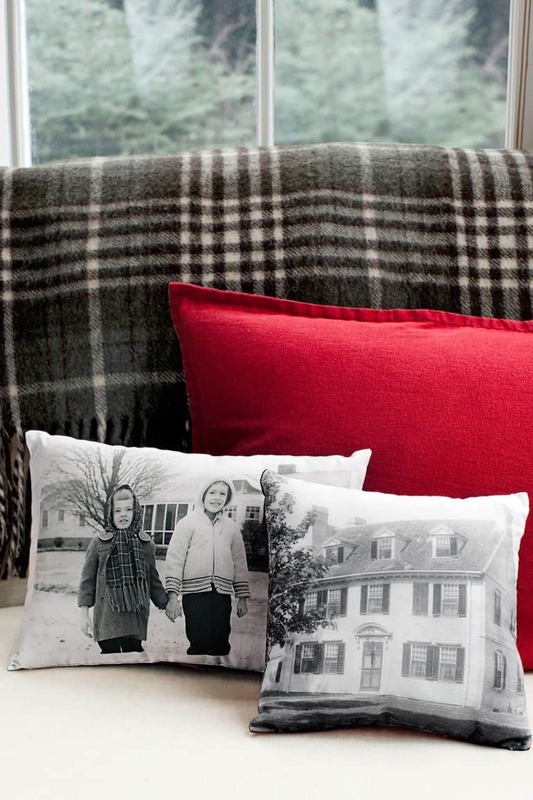 These pillows add the perfect touch to any couch or chair. 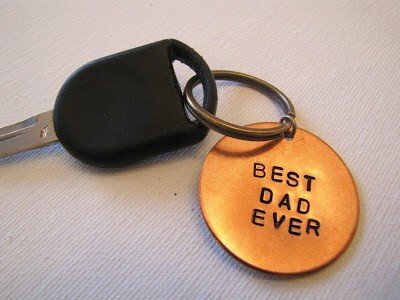 They make a great keepsake, especially for grandparents! Another great gift for the chef’s in your life. 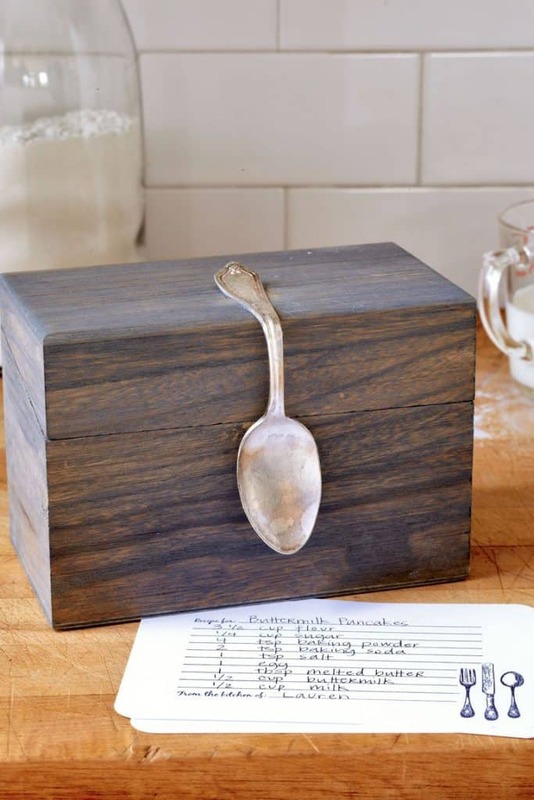 A DIY recipe box! Make sure to print out and include cards so they can write down their own creations. 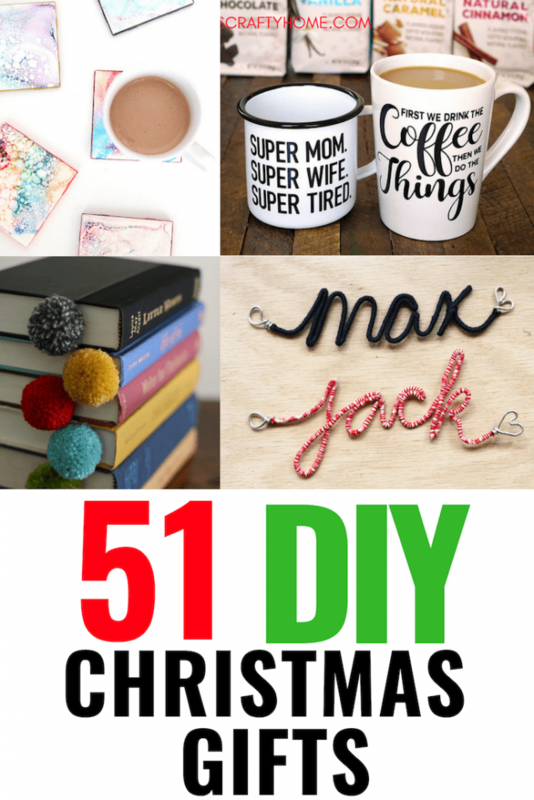 This is a super reasonably priced DIY despite the decadent look! What an easy way to make each lady in your life feel special. 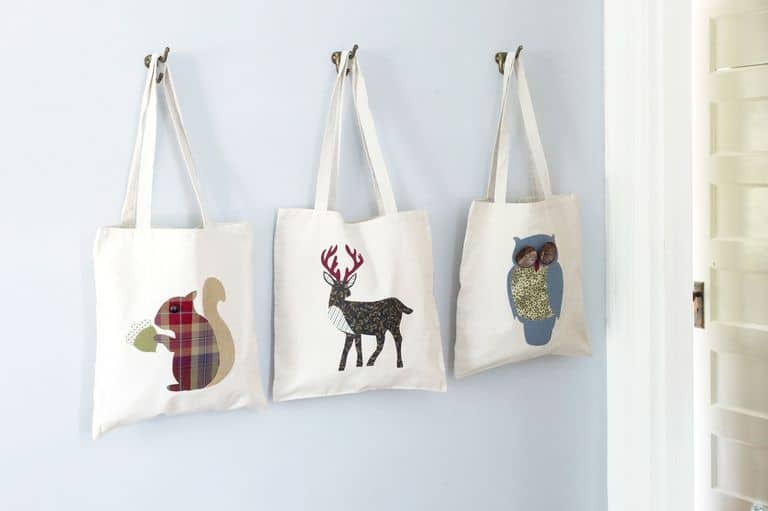 These charming totes are a super creative DIY Christmas gift fit the green-friendly people in your life. These gloves just make me smile! 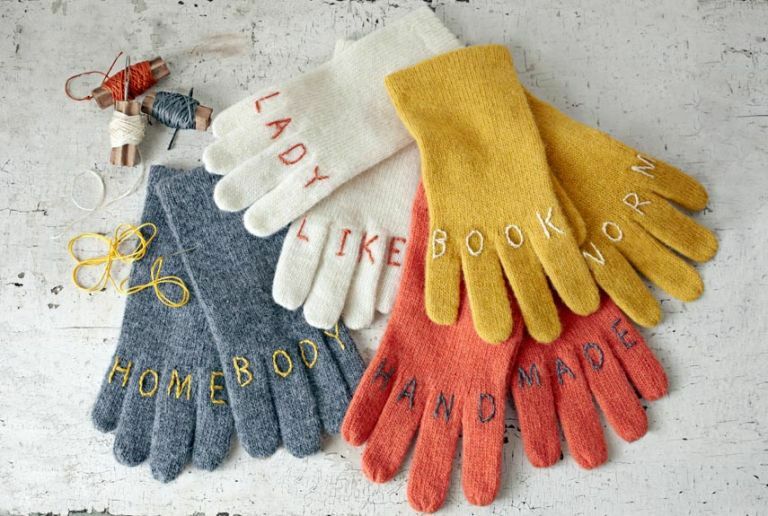 Turn a bland pair of gloves into a gift perfect for your spunky friends. 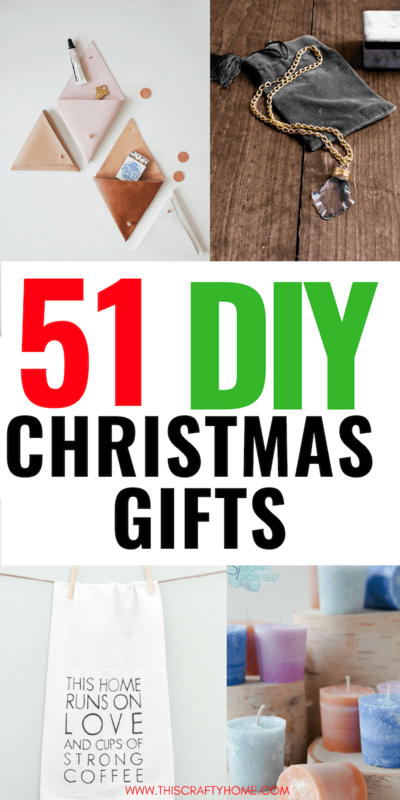 This creative DIY Christmas gift is perfect for anyone who loves vintage! I make stove top simmers regularly in the fall and winter. 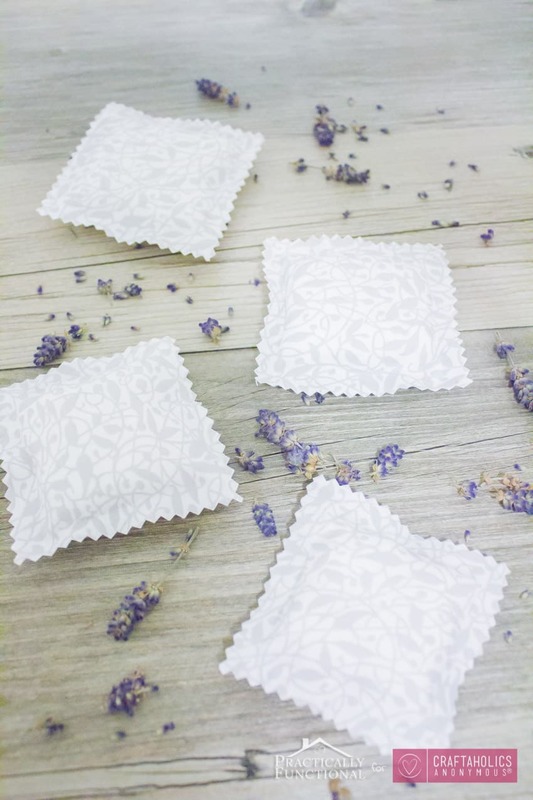 They make your whole house smell amazing without the use of chemicals! 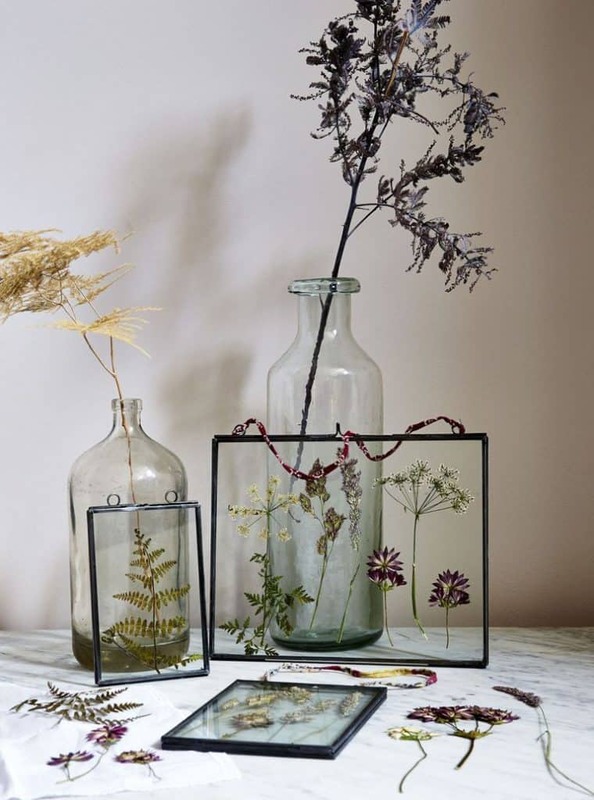 This beautiful DIY is an easy gift for anyone in your life who loves the simple look of pressed flowers. 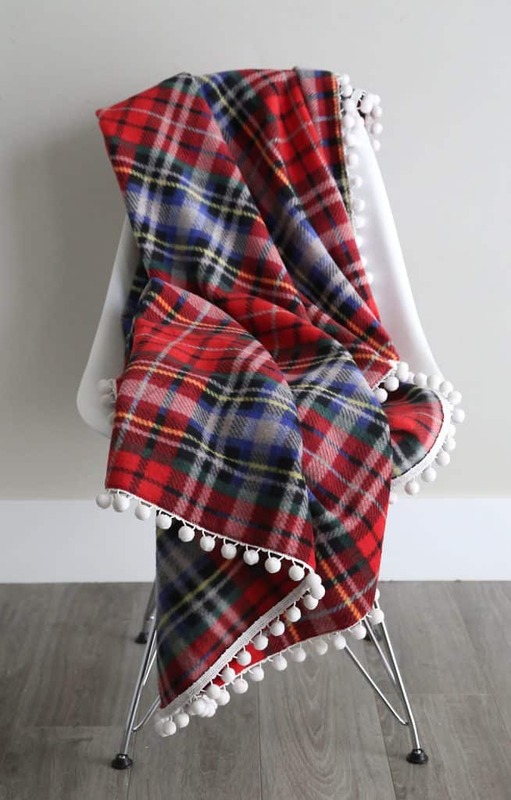 Take a simple fleece blanket and take it up a notch with a cute pom pom trim or two other options that this DIY provides. 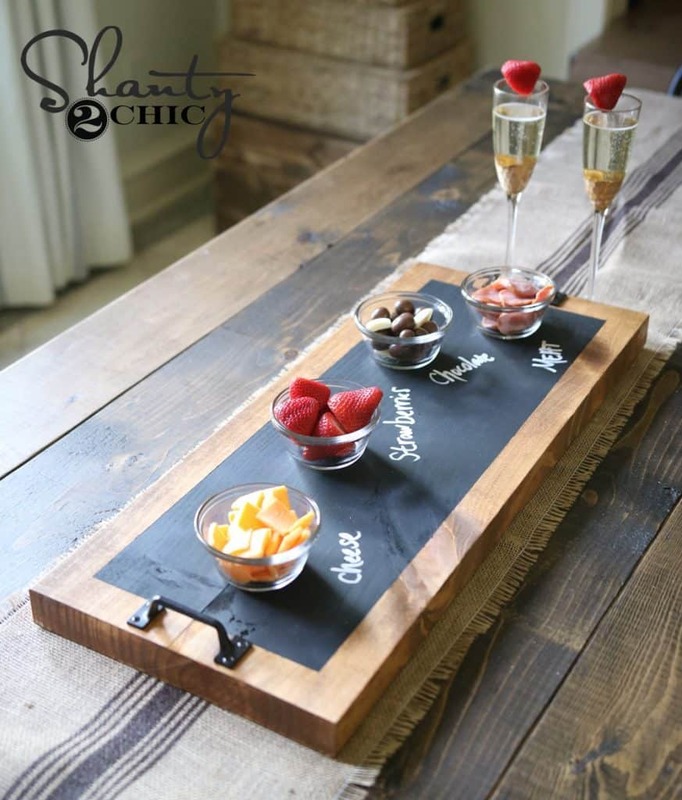 This chalkboard serving tray makes a perfect DIY Christmas gift for your favorite hostess. 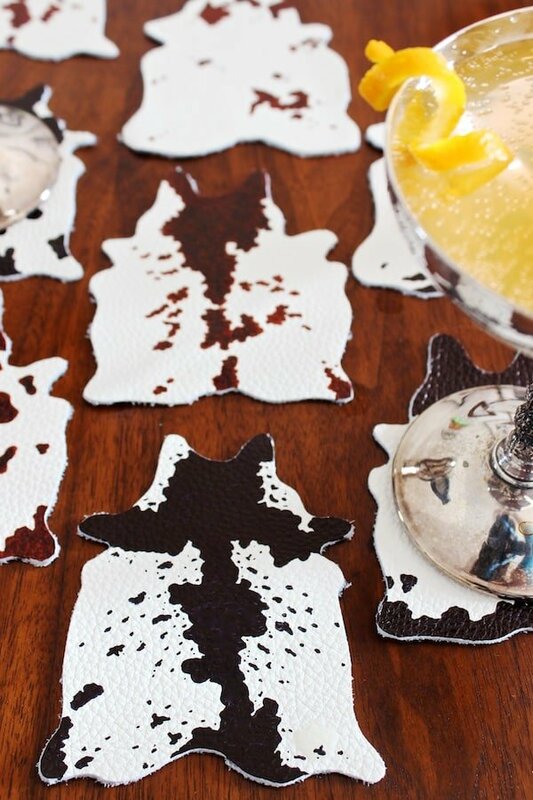 These DIY mini cowhides are actually way easier to make than they look. This is perfect for your family with a farm aesthetic. 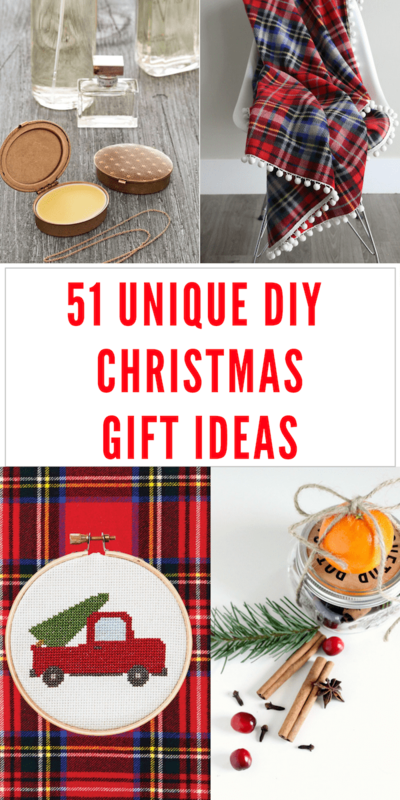 These gifts are super quick crochet projects that make for a great DIY Christmas gift even if you are not a teacher! 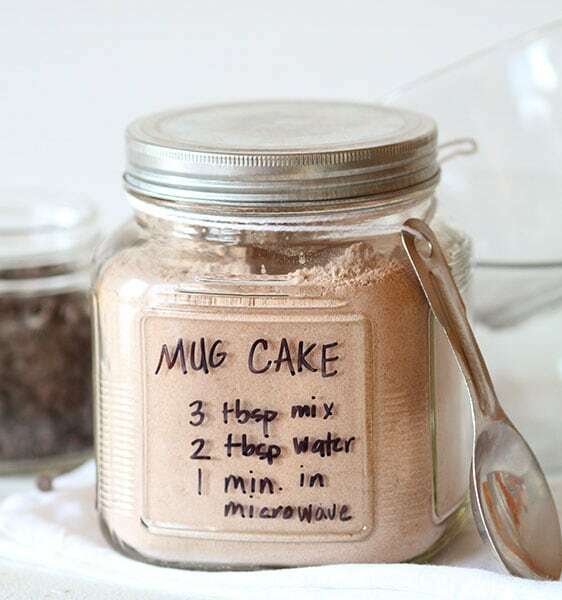 This chalkboard mug DIY is a super easy project to take on and you can easily snag a mug from the dollar tree to make it. 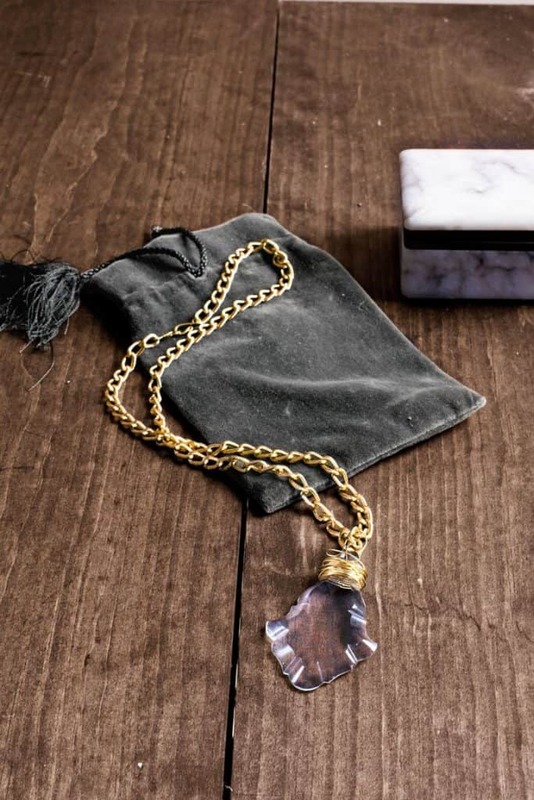 These stamped keychains and necklaces are perfectly imperfect. 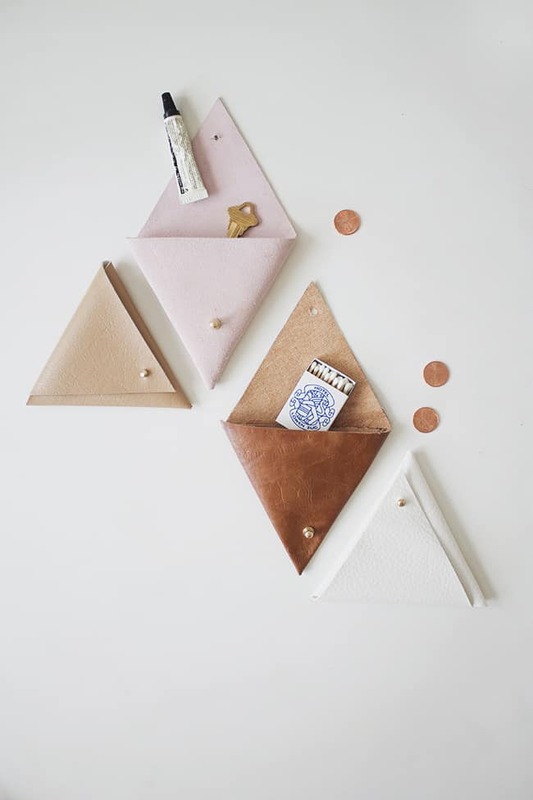 Plus once you have the materials to make these you can make a ton of cool projects. 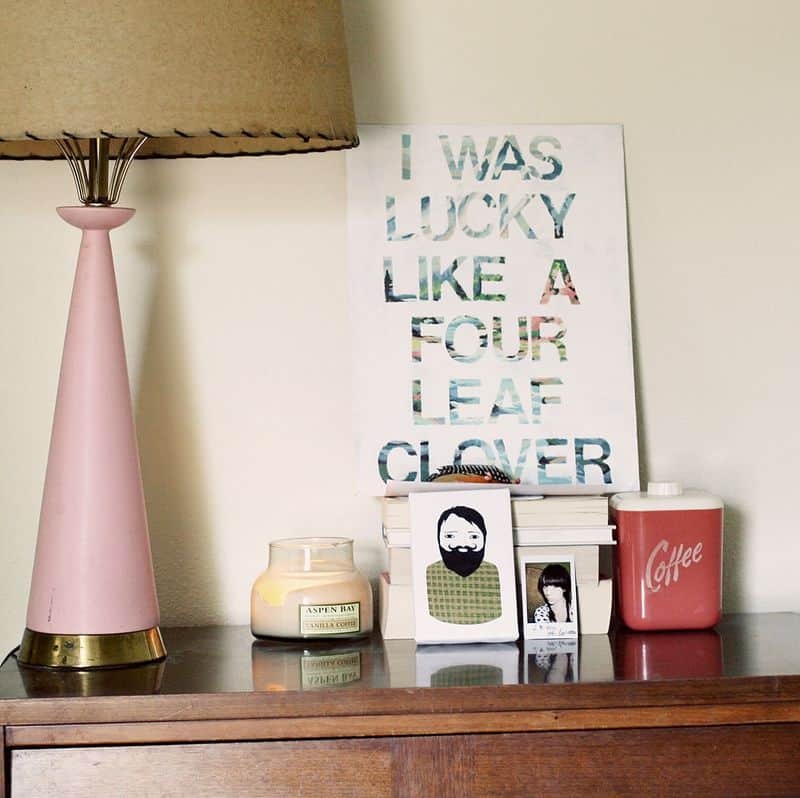 This DIY wall art is a super easy way to make a great statement piece. 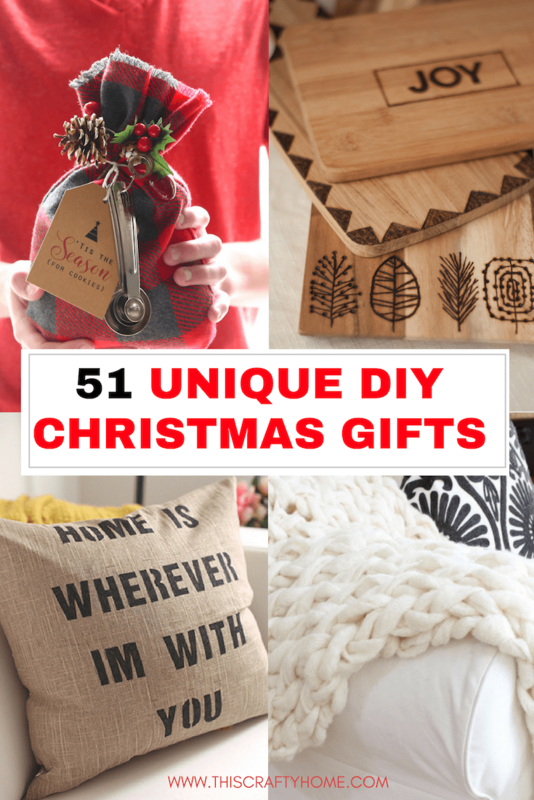 It’s a perfect gift for someone who has a new place. 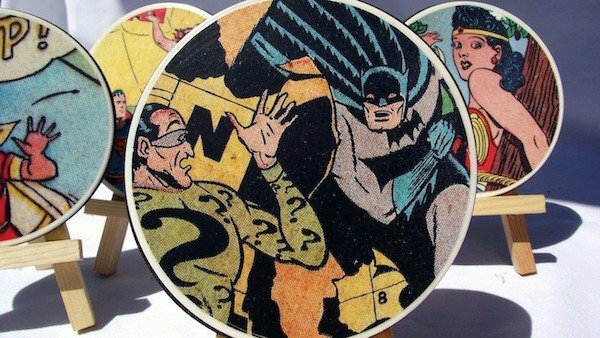 These coasters are perfect for a comic loving man in your life who needs to learn some respect for his furniture. Another great gift for the man in your life, this mint shaving cream is an awesome way to pamper him. 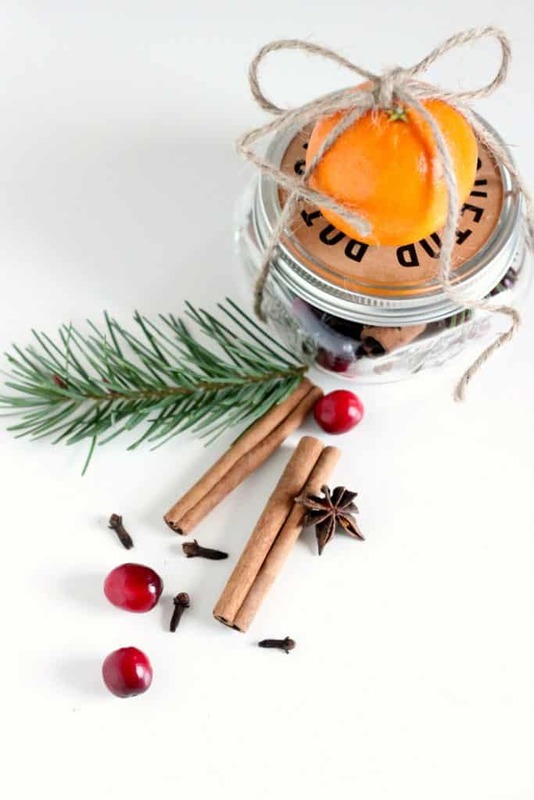 These DIY fire starters are a great gift for those who love a nice fire pit on a cool night. 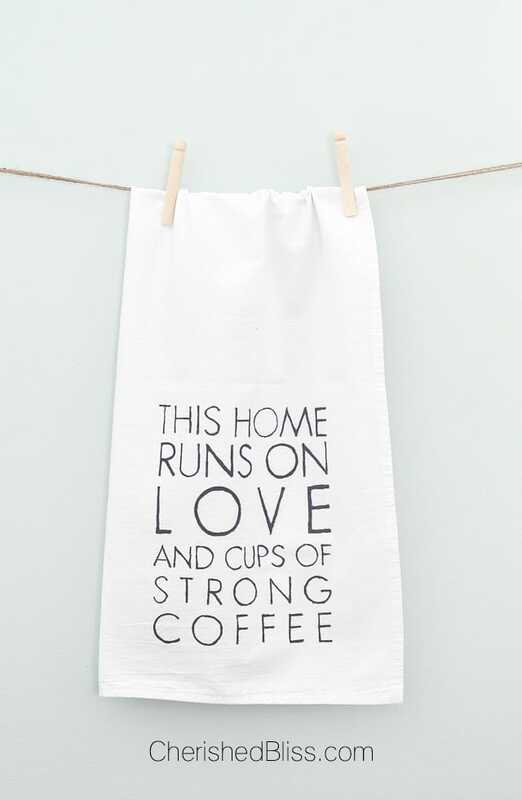 We have a sign similar to this in our house and it one of my favorite things I own. 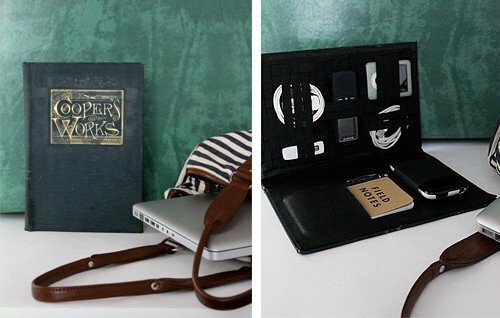 Help your techy loved one keep everything together with this handy organizer! 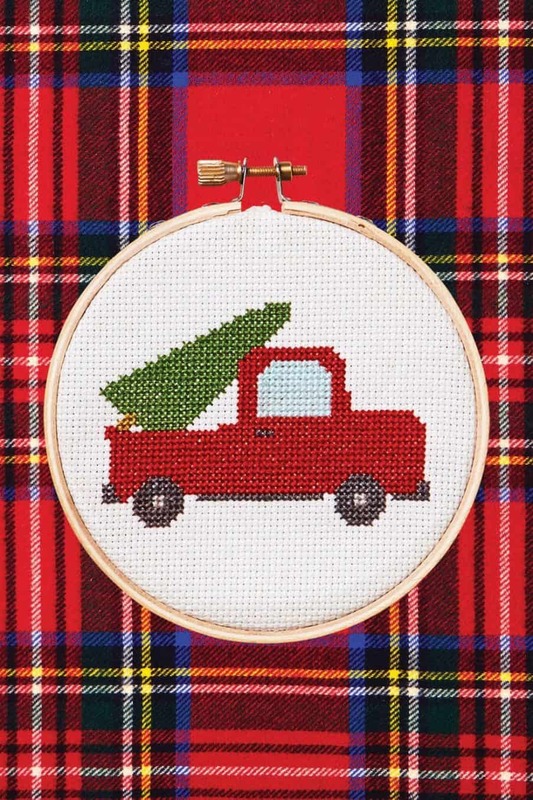 This creative DIY Christmas gift will be a knock out of the park. 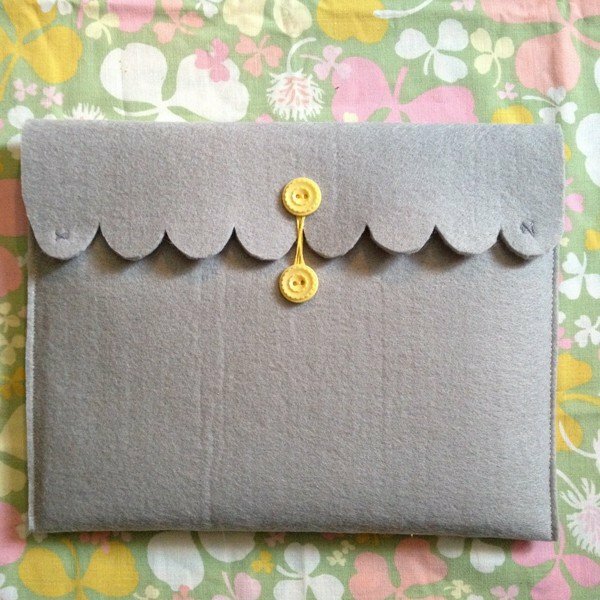 This DIY Christmas gift is super easy and makes the perfect cozy case for a tablet! Not to mention it is adorable. 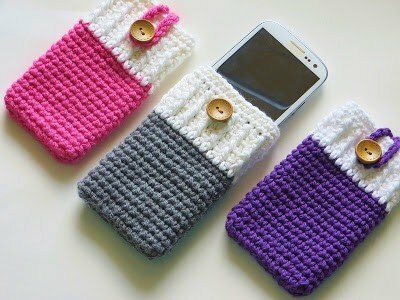 This is a great simple crochet project for a beginner! Give someone the ultimate spa night. 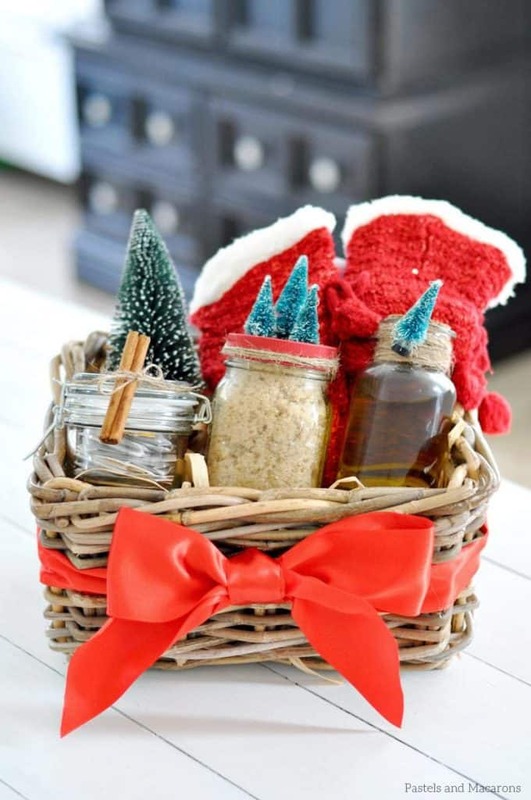 This complete DIY basket is perfect for that special someone who likes to be pampered but doesn’t want to spend the money. 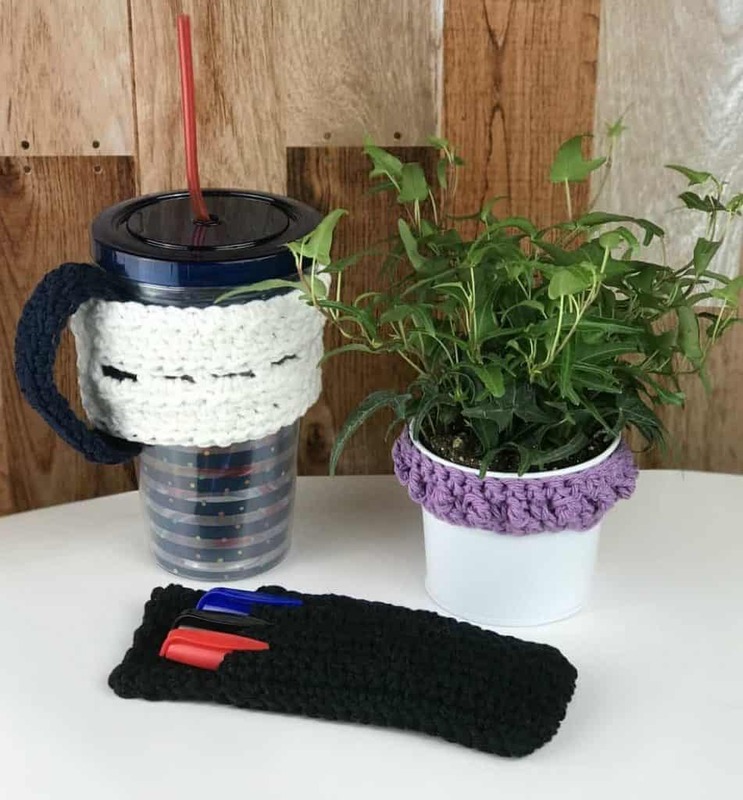 These super simple coasters are another great beginner crochet project! These would look great in almost any living room. 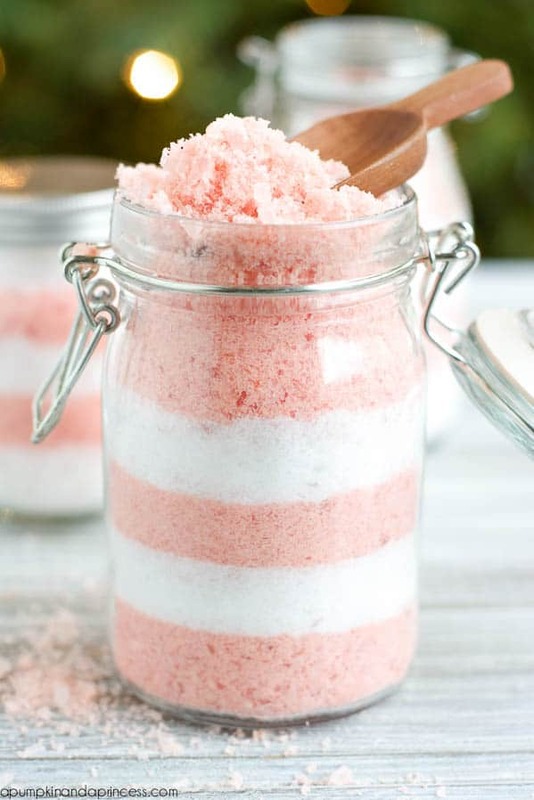 If you haven’t tried a good sugar scrub you are missing out. 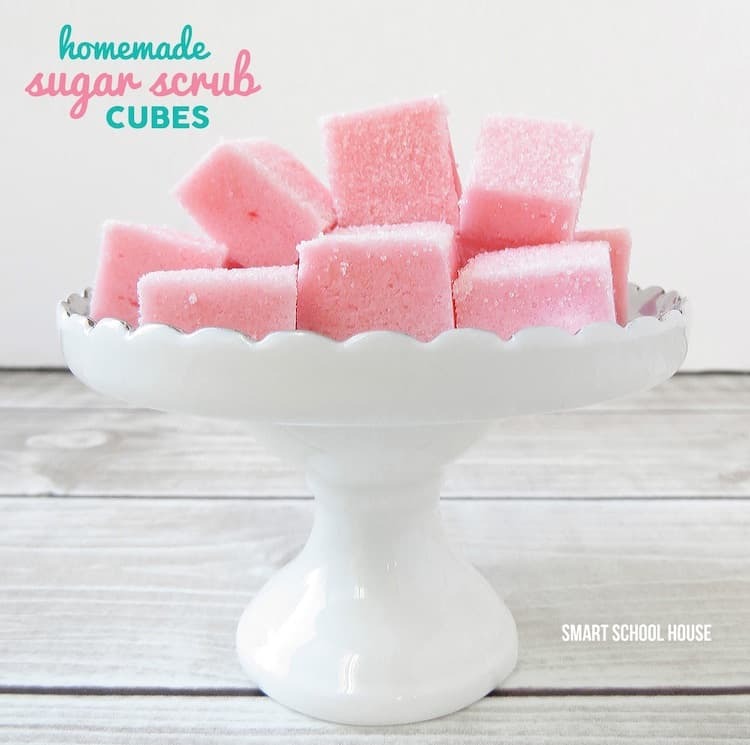 These sugar scrub cubes are adorable and will make anyone’s skin feel like heaven! 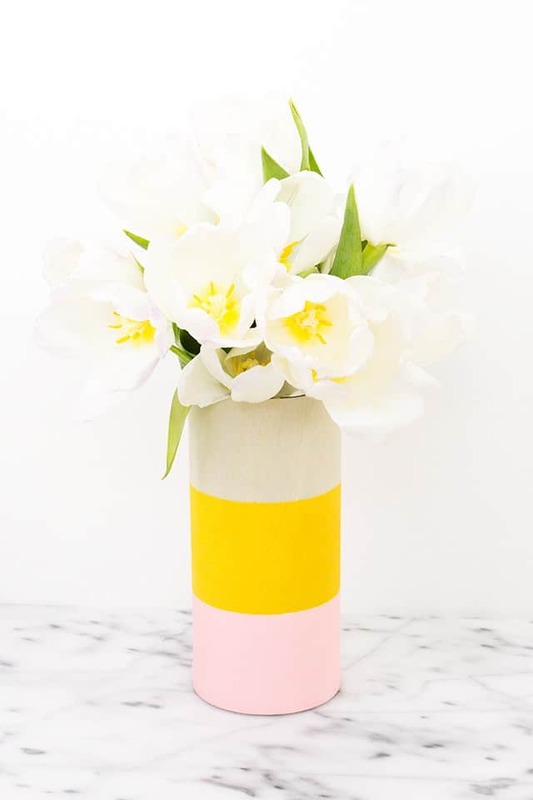 These wood vases are beautiful with some fun color blocking added! They make a great DIY Christmas gift for people who loves pops of color in their life. These designs are SUPER cute and if you have a Cricut or Silhouette machine they are a breeze to make. Plus you can use this design for other things like t-shirts as well! 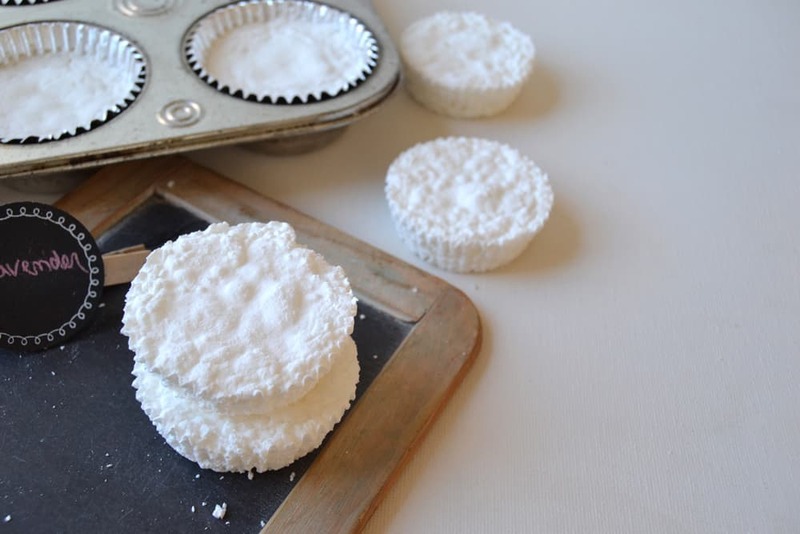 This creative DIY Christmas gift is super handy (yes it’s a pun), and it smells awesome! 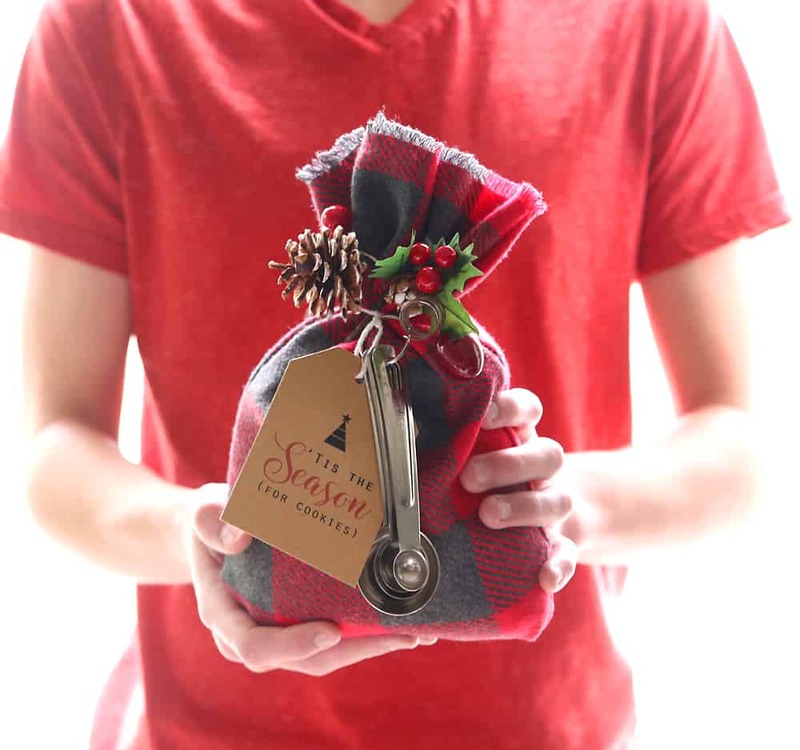 Anyone who is outside a decent amount in the winter will love this gift. 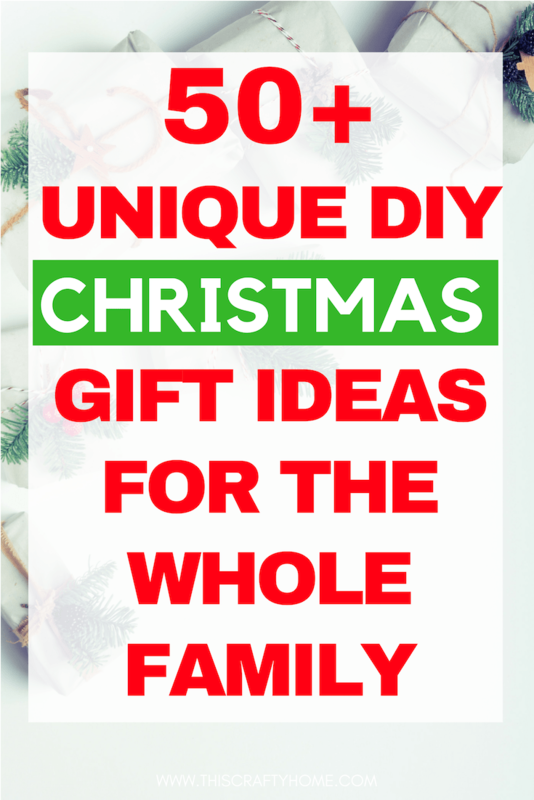 Leave a comment below on what your favorite DIY here! There are so many good ones to choose from.